The most abundant gas on earth, dinitrogen N2, is the ultimate source of nitrogen for living organisms. Despite its abundance, N2 cannot be directly metabolized by most of the organisms due to its stability. Currently, N2 is converted industrially into biologically available form, ammonia NH3, using an energy-intensive method developed in 1909. Thus, chemists have been searching for a sustainable alternative method for decades. 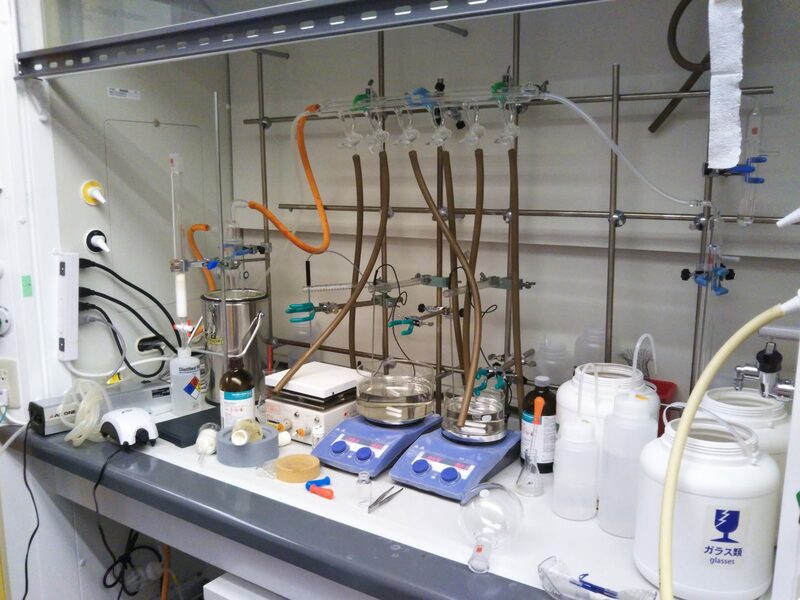 One of the possible alternative is the utilization of homogeneous catalysts that can be much more efficient than current heterogeneous catalyst. However, no homogeneous catalyst for the production of ammonia from N2 and molecular hydrogen H2 is known to date partly due to the lack of a coordination mode of N2 to transition metal that allows reaction with H2 and catalytic turnover. 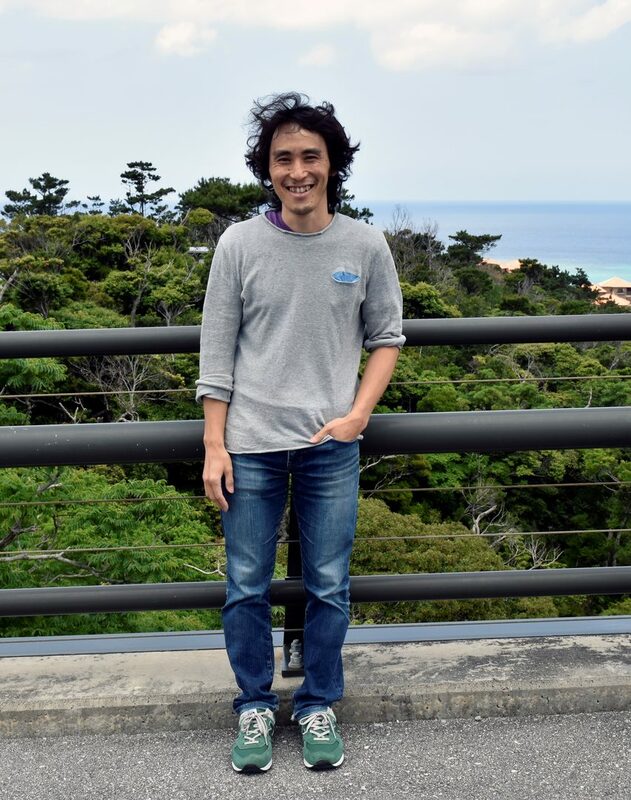 In this project, we are going to develop a new coordination mode of N2 to develop the first homogeneous hydrogenation of N2. Precious metals such as, ruthenium (Ru), rhodium (Rh), palladium (Pd), iridium (Ir), and platinum (Pt), are known to form very active, and selective catalysts, and are used widely in chemical industry. However, such precious metals are toxic and costly. Furthermore, depletion of precious metals are expected in future due to ever increasing use of it. In this project, we are developping catalysts based on non-toxic, cheap, and abundant metals such as, molybdenum (Mo), manganese (Mn), iron (Fe), cobalt (Co), and nickel (Ni). 1. Iron-Catalyzed Metathesis Polymerization of Olefins. John, J. M.; Takebayashi, S.; Dabral, N.; Miskolzie, M.; Bergens S. H.
J. Am. Chem. Soc. 2013, 135, 8578-8584. Takebayashi, S.; Shizuno, T.; Otani, T.; Shibata, T.
Beilstein. J. Org. Chem. 2012, 8, 1844-1848. Takebayashi, S.; Dabral, N.; Miskolzie, M.; Bergens, S. H.
J. Am. Chem. Soc. 2011, 133, 9666-9669. Takebayashi, S.; John, J. M.; Bergens, S. H.
J. Am. Chem. Soc. 2010, 132, 12832-12834. 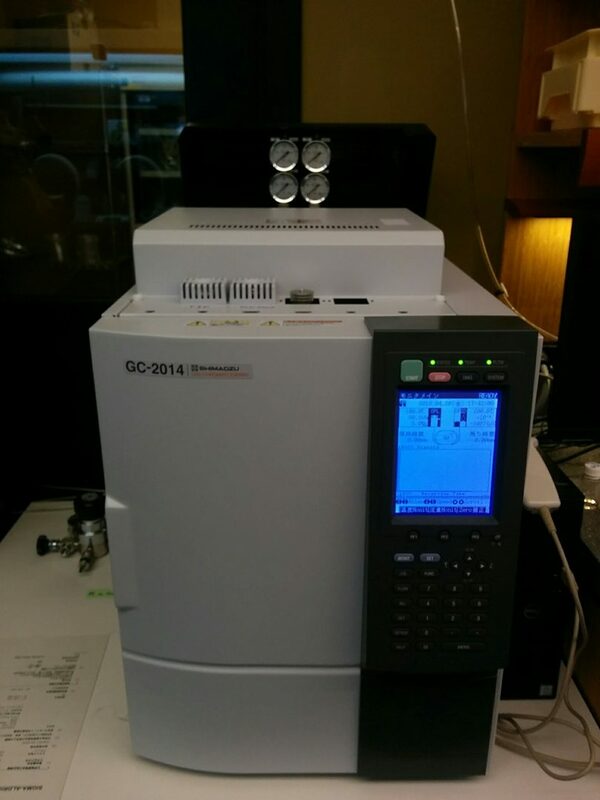 Takebayashi, S.; Bergens, S. H.
Shimazu Gas Chromatograph GC2014 equipped with TCD (Shincarbon ST column, 2m x 3mm) and FID detectors (Astec Chiraldex® B-DM column, 30m x 0.25mm). 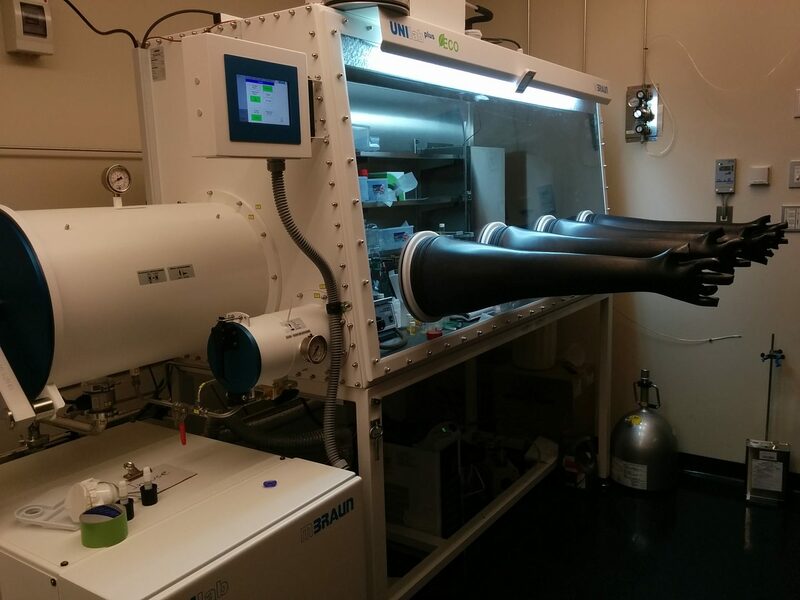 A 180cm width fumehood equipped with a standard Schlenk maniford, stirrers, oil baths etc. 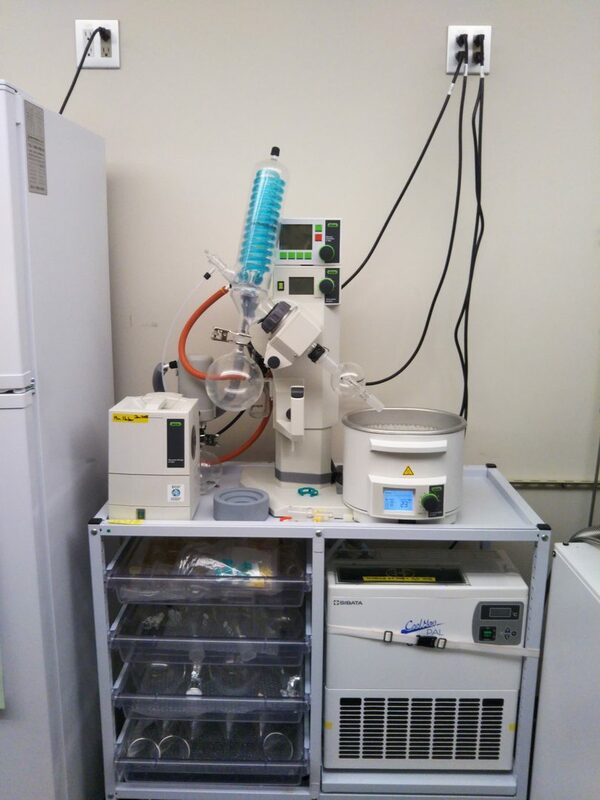 Buchi Rotavapor R-215 system equipped with an automatic vacuum controller, and a chiller.